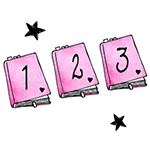 by author Linda MacDonald blog tour. With thanks to Anne at Random Things Through My Letterbox. 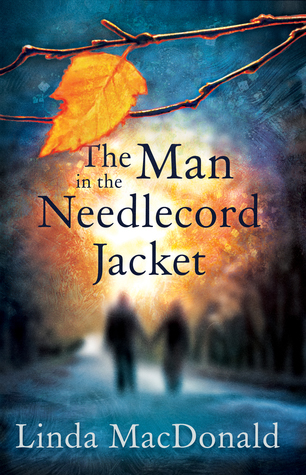 The Man in the Needlecord Jacket follows the lives of Sarah and Felicity, two women who lead very different lives but are linked by one huge thing - the attention of Coll (or the man in the needlecord jacket). Sarah, placid, sensitive librarian is the 'girlfriend' of Coll. They have been together for over ten years, but have never moved in to one home, never committed to anything more than a set schedule of when they see each other and a holiday now and then. Coll is very much the controller and Sarah is of the opinion that as a mid-fifties women her choices are limited and she should be grateful for what she has. Felicity has just returned to the UK following the breakdown of her relationship with young Italian chef, Gianni, the man for whom she left her husband and children and comfortable life living at Deer Orchard for. She is confident, a business women who owns her own restaurants and she wants her old life back. She is of the opinion that as a mid-fifties women she deserves to get what she wants. The three worlds collide when Coll, part-time artist, decides to try and use Felicity's new restaurant as an outlet for selling his artwork. A game of cat and mouse begins for the pair, much to the devastation of Sarah, who quickly knows there is another OW (other women) on the scene. The characters and their involvement with one another in this book are deep. The relationship between Felicity and her soon to be ex-husband, Edward, have been explored in previous novels, however this didn't affect my ability to get a good understanding of the relationship and form an opinion, the author has done well to ensure this works. I liked the characters who made up Felicity's family - Edward, her four children and respective partners and Marianne, Edwards new partner. The same can not be said for Felicity herself. Her determination to get what she wants in life means she ignores the thoughts and feelings of others - but why would that bother her - she has thought about others for all of her life, it is time for what she wants now! It was a refreshing change to have the main characters, particularly the females, as mid-late fifties. It was also good to have the two women coming from very different viewpoints of what it is to be a women in mid-life. On the whole I liked Sarah, although I did want to shake her. I believe these reactions to the characters are exactly what the author wanted. There is no likeability in Coll. There are several hints as to a traumatic childhood, particularly involving bullying at the boarding school to which he was forced to attend, and a suggestion is made as to him having a narcissistic personality disorder of some sort, and would explain his undeniable controlling behaviour towards those around him, but this is never really fully explored and I think I would have liked more on this. It would have been nice to have been able to have more of an understanding of this character given how central he is to the story. I enjoyed reading this book. Although not a great deal happens as such it is an interesting insight in the minds of men and women as they approach mid-life and can explore their world with hindsight and knowledge - and just how different the approaches with these perspectives can be. It is a good story about relationships - those with yourself and others - and as I have already said, it was a breath of fresh air for the characters to be more mature. This novel is well written and nicely paced. The characters are complex and intriguing. For me personally, I am not sure the structure of the booked needed to be as complicated as it is - split between voices is fine and works well, but it was also in sections with titles and subtitles - I couldn't see the benefit and felt it interrupted what was a very good flow a little too much.